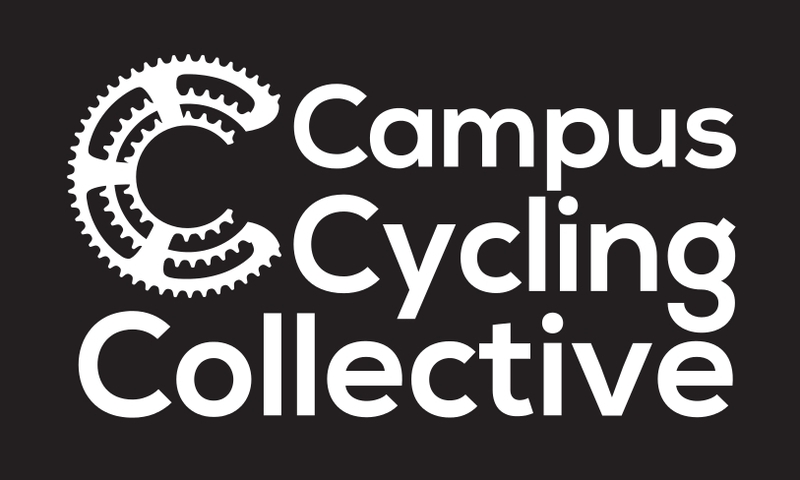 The Campus Cycling Collective, a 501(c)(3) non-profit, is group of people who ride and/or race bikes with the common goals of having fun, staying fit and getting outside together. We work as a group in and around WNY to foster participation in cycling and other outdoor activities. - Tuesday night city road group rides throughout the summer. - Saturday mountain bike group rides throughout the year.- Mountain bike race promotion around WNY: The Brook, Single Track Stampede, and the Harris Hill Hustle. - Thursday night cross country ski nights in Delaware Park.- Fat bike group rides and races.- Bicycle racing clinics and practices.- Weekly Cyclocross practice through late summer/early fall.- Cross in The Park: The largest regional cyclocross race held right in Buffalo.- The Great Winter Get Out: Our winter multi-sport activity challenge.- Support at major charity rides including The Skyride.- Mountain bike trail maintenance. CCC Summer Road Group Ride info! *This year all rides will end at Campus WheelWorks with for our post ride social hour taking place at 40 Thieves bar and grill which is just a few business down from Campus on the opposite side of Elmwood. Follow this link for more information rules, and a list of challenges. When the weather is right, we are going to be out there. Saturday daytime trail fat bike rides at noon, Monday Night urban fat bike rides leave the shop at 7pm, and Thursday night XC ski nights in Delaware Park leave from the shop at 7:30. Check out the most up to date info on our calendar, and on our Facebook page.